Murals Lines consists of five colors: bright white, warm grey, earthy brown, anthracite, and sea blue. 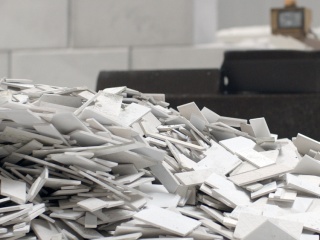 All tiles are available in a stone matt glaze. The white tiles are also available in gloss. 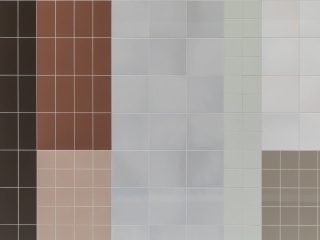 The Murals Lines wall tiles are available in the sizes 6 x 6, 6 x 12 and 12 x 12 inch. Click on the size to see the available colours. Seamless interiors, where architecture and ceramics come together in perfect synergy; this is the essence of Murals. This dynamic wall tiles collection comprises layers of carefully composed colors, formats, finishes, and textures, designed to coexist in harmony. At once subtle and extra-ordinary, the transformative power of Murals lies in its ability to secure pure design freedom and material authenticity, while perfectly complementing a project’s architecture. Murals Lines finds its perfect partner in the Pattern Generator. 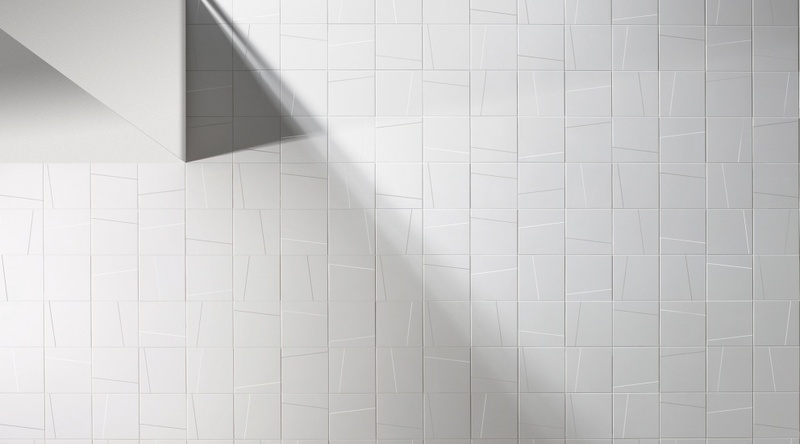 This is a tile collection that celebrates the power of playfulness, choice, and adaptability, offering numerous options for highly-inspirational tile surfaces to fit any style. Created as a tool that allows for creative freedom and that helps designers bring their ideas to life, the Pattern Generator is the ideal companion in exploring the world of ceramics through Murals. Sustainability is one of Mosa's core values. The Murals tiles are a leading example in sustainable production. Almost the entire programme is Cradle to Cradle Silver certified. The four series of tiles that make up Murals - Blend, Fuse, Change and Lines - draw on the same principles, but each one is clearly distinct. Together, they create a versatile and invaluable toolbox, readily available at the designer’s whim.